Parr Street Studios is more than a hotel, more than 2 bars and more than a famous recording studio. We also have 10 serviced offices rented on a month to month basis. 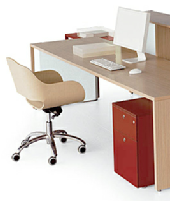 Scroll down for a list of office sizes, how many desks they suit and our current prices. It is said “Parr Street Studios” is the perfect low-cost business/mailing address. No need for an more expensive office if all you need is a mail drop off & collection point. Please call 0151-707 1050 to book your mailbox address. Please call 0151-707 1050 to find out if any of our fab offices are available. Unusually for a city centre office base, secure access is available 24 hours a day, 7 days a week for most of the year. Most other offices you are limited to 10 access a day so you have the added bonus of double the availability for a low cost rental price.